Tonight Democrats got the show they wanted—and President Obama may have gotten the boost he needed. Appearing in Danville, Kentucky on Thursday night, Vice President Joe Biden gave one of the most aggressive, passionate, and substantive debate performances I can recall. I don’t know how it played with the public as a whole and I don’t imagine it influenced swing voters one way or the other. If I had to bet, the media will spend at least as much discussing Biden’s facial expressions as they will dissecting the exchange over Iran. But on the domestic policy questions at the heart of this campaign—which also happen to be the issues I know best—Biden made the essential points that President Obama failed to convey last week. And Biden did so in a way sure to fire up liberals, whose disappointment over last week’s performance appears to have been a significant factor in Obama’s sliding poll numbers. On taxes, Biden made it clear that Mitt Romney and Paul Ryan are not being honest about their plan—that promises to lower rates by 20 percent, reduce taxes on the middle class, and find deductions to offset the whole cost are mathematically implausible. In so doing, he had help from moderator Martha Raddatz, who asked specific, tough questions to both sides—and who on this particular issue pressed Ryan to provide the details that, ultimately, he couldn’t. 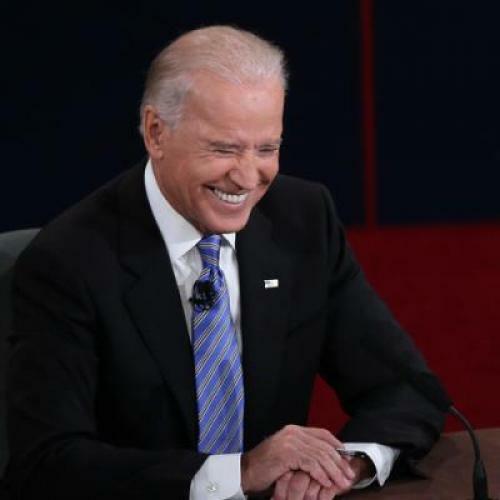 On Medicare, Biden explained what the Romney-Ryan Medicare plan would mean for retirees—that it would jeopardize the guarantee of benefits that the program has provided since its creation in 1965. Biden also reminded voters about the 2011 Ryan Medicare plan, which would have left the typical senior individually responsible for two-thirds of his or her medical costs. Ryan noted that he and Romney had since endorsed less extreme plans. Biden didn’t dispute that, but he asked, rightly, why voters should trust them when they were endorsing such dramatic and dangerous changes less than a year ago. On the economy, Biden challenged Ryan's account of the Recovery Act. He pointed out that unemployment today is slightly lower than it was when Obama took office—and much lower than it was at the peak of recession, before Obama's policies had a chance to take effect. Biden was pugnacious, interrupting frequently, and at times openly dismissive of Ryan. I imagine that will annoy a lot of voters. But, oh, Biden had some great liners. When Ryan said “sometimes the words don't come out of your mouth the right way,” referring to Biden’s penchants for gaffes, Biden said “but I always say what I mean.” In an exchange about taxes, Biden let loose about the 47 percent: "My friend recently, in a speech in Washington, said 30 percent of the American people are takers. These people are my mom and dad, the people I grew up with, my neighbors. They pay more effective tax than Governor Romney pays in his federal income tax." But if one moment stuck with me, it was an exchange a few minutes later. In an attempt to show that Romney has compassion, Ryan talked about Romney’s personal generosity—including his efforts to help a needy family in Massachusetts. Romney and Ryan have been doing this a lot lately: Telling humanizing stories about Romney to prove that he cares about all Americans, not just the wealthy. The Romney-Ryan agenda would entail huge cuts to programs on which the middle class, as well as the poor, rely—while giving large tax cuts to the rich. They’ve tried to hide that fact by disguising their proposals, refusing to provide policy details, or distracting the public with heartwarming stories. On Thursday night, Biden was having none of it. Your average voter may not have noticed. But this average policy wonk sure did. Update: With a few tweaks and new adjectives to capture my sentiments more precisely.